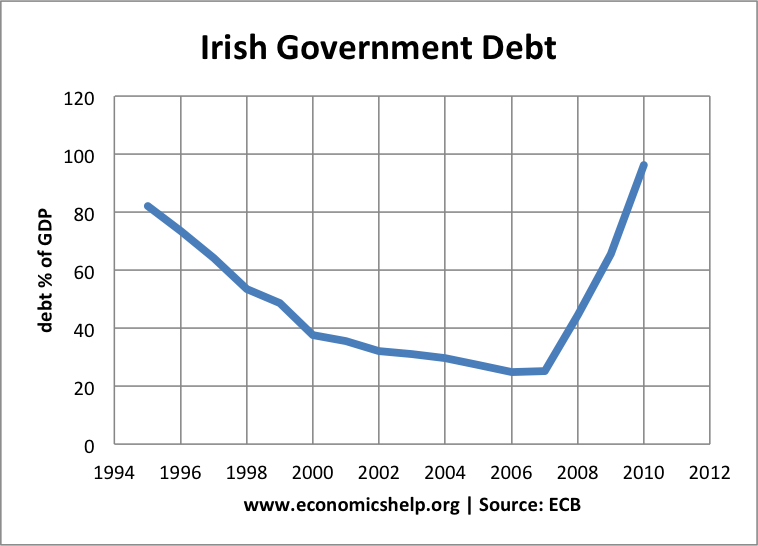 Ireland has faced tremendous economic turmoil in recent years. Government debt has soared after the banking bailout and effect of a deep recession. Fiscal austerity (government spending cuts) to try and solve budget deficit. All these factors have led to a fall in GDP in 2010. In the Euro, they haven’t been able to devalue the currency or pursue an independent monetary policy. 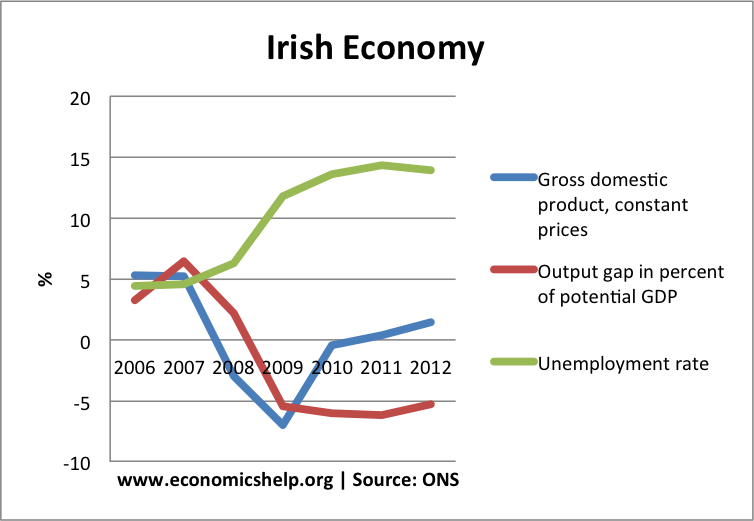 Irish economic performance – slow recovery. Instead they have had to rely on ‘internal devaluation’. This involves reduced wage costs and inflation to try and regain competitiveness. To some extent, they have succeeded in improving competitiveness. However, unemployment remains high and output remains well below previous peaks. 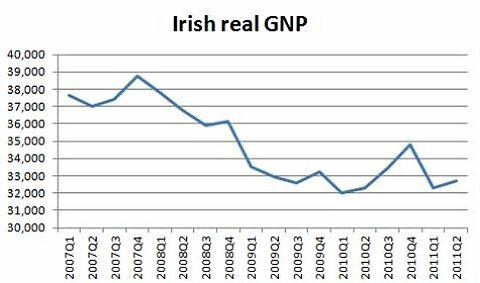 The Irish Central Bank has forecast economic growth of 1% in 2011. This leaves a significant output gap. If the Eurozone falls further into recession, it will be even more difficult for Ireland to maintain this recovery. GNP deducts net income paid to foreigners. Ireland has many multinationals which are based in Ireland. Therefore, there is substantial outward flows of profit. Hence GNP tends to be lower than GDP.